Here’s what’s happening in the world of television for Tuesday, February 20. All times are Eastern; “Frankenstein” is the scientist’s name. The Frankenstein Chronicles (Netflix): Since the 1818 publication of Mary Shelley’s Frankenstein; or, The Modern Prometheus, a common misconception has plagued the Western canon’s most influential story of science run amok. 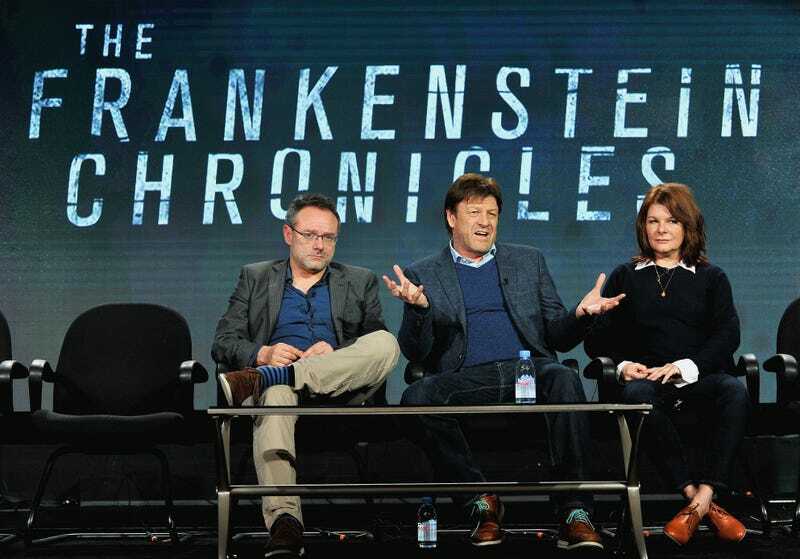 The Gothic crime drama The Frankenstein Chronicles doesn’t get to the bottom of how the name “Frankenstein” eventually came to be associated with both Victor Frankenstein and the creature he stitched together in his laboratory, but it does present potential for future confusion in the suggestion that the show chronicles the good doctor’s attempts to bring dead flesh back to life. To the contrary, the central figure of The Frankenstein Chronicles is police inspector John Marlott (Sean Bean), who’s pulled into an investigation that has eerie parallels to Shelley’s novel. So Frankenstein exists within the reality of The Frankenstein Chronicle’s two seasons (both of which premiere on Netflix today), and yet no one ever stopped to think, “Hold up, wait: This title makes it sound like the monster wrote a memoir?” Though that’s also a TV show we would watch, provided it covered the time the big galoot inspired a nationwide dance craze. Death Row Chronicles (BET, 10 p.m.): Now here are some truly self-explanatory chronicles: A six-part documentary about the rise and fall of Death Row Records, which can act as both gin-and-juice aperitif and way-it-is reality check to USA’s upcoming true-crime miniseries, Unsolved: The Murders Of Tupac And The Notorious B.I.G.